Discussion in 'Android Devices' started by Heracross, May 11, 2013. The google search widget doesn't work. It doesn't do anything. I've tried a reboot and I've wiped my ODEX files, but nothing works. My Galaxy S3 4.1.2 is jailbroken and I'm not running any launchers. Anyone else experiencing similar issues? I can't seem to find anyone with this issue. In homescreen, does long pressing the menu button to bring up search work? 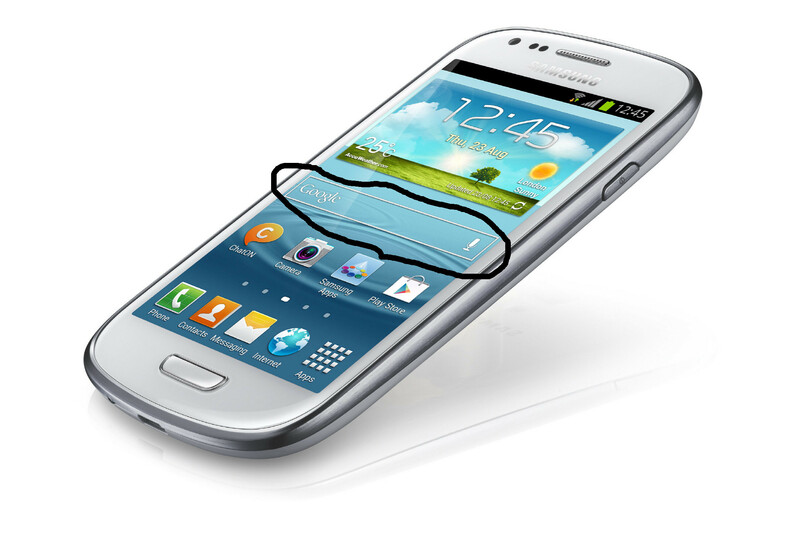 This is the widget I mean. Not the google voice function. Hmm. Have you Disabled anything in Application Manager in Settings mate? Not that I know of. Is there anything I can check in application manager? perhaps enabling a process or resetting a value? Rob in Wales, Unsaavy and Heracross like this. Lol what was disabled mate? I had the same problem, "Google Search" was disabled on mine. Thanks for the tips. I also removed the search bar from my home screen now that I know I can long press the menu to get it. on 4.4, there is an "TURNED OFFf" menu after "ALL" I had turned off google SEARCH by accident so the google keyboard was not showing up. Thank you. This helped me too! mine says "cant load search results" weather i type in a search word or use the talk to text, also i have tried the long hold menu with same results, nothing is turned of, had phone looked at at best buy. I am having the exact same issue as you Chris V...it's been happening for a few days now. I will put something in the search box & it says "no internet connection" and then I open my Chrome browser & search from the address bar & I get my results so clearly I have an internet connection. My Google Cards aren't working either...the same thing happens if I long press the screen, I tried installing the widget again on another screen & the issue persists. I am in the same boat., Search Box and voice command is inoperative., Uninstalled, cleared cache...reinstalled updates., shut off rebooted...nothing. Device now says after "Ok Google "command (after to "Agree" prompts) No Internet connection. Internet is up and running just fine as I am now using Google Chrome to search this issue., I am trying to avoid a total reset if at all possible. Anyone in cyber land or space have a clue? Device seems to truck along normally and efficiently except for The Header Search Engine. Same problem here! Sorry to not see a resolution yet but glad to know I'm not the only one. Checked the app and it's not disabled. It just started a week or so ago and is only the long widget someone previously posted a shot of. If I use voice or typing it fails to search. I've reported it a few times as well. Nicopernicus and Chris V like this. I check it daily...once in a great while it functions and then dumps. Sometimes it actually confuses an internet voice search for my wanting to place a call, then repeatedly calls that same number. Have or can we confirm that this is a Google update Issue? Or at least some cross-product contaminate that is being generated by the source..? Google? I (we) at least could rule out a Virus or bug. My phone works just fine otherwise and Chrome takes care of my searches fine...just awkward. I have sent feedback galore but nothing answers this plaguing question. Alright guys I found the solution! Go to settings>device>application>application manager then scroll across to ALL. After that go down and click on the one that says Google Search. After that click uninstall updates. Everything should work with the search widget after that!! Hmmm, mine doesn't have "uninstall updates" bummer!